A bigger house, nicer car, better vacations: wanting more isn't always bad, but are we looking for satisfaction in all the wrong places? 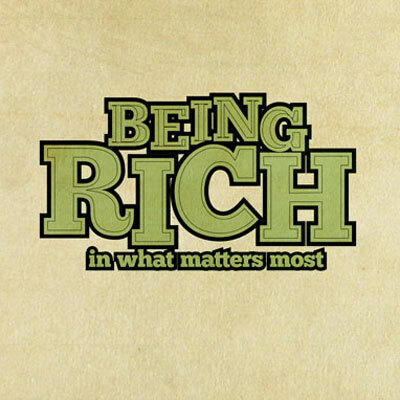 "Being Rich" outlines exactly how rich most people are and how God wants us to respond to his blessings. This five-week series puts a fresh perspective on what being 'rich' really means and how we can honor God with the richness of our finances, time, and hearts.